Enjoy the freedom of wireless connectivity with IOGEAR's slim, ergonomic Wireless Smart TV Keyboard with built-in optical trackball. 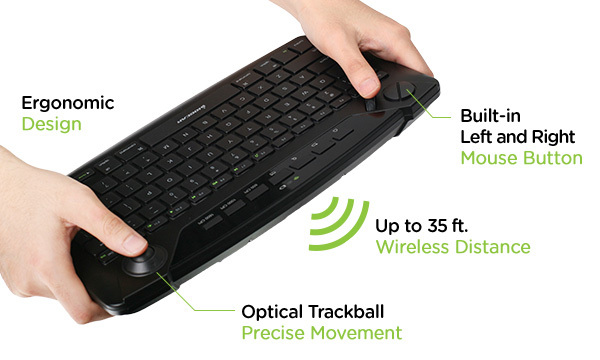 The 2.4 GHz wireless keyboard and optical trackball combo allows you to work up to 35 feet away from your computer, right from the comfort of your couch. 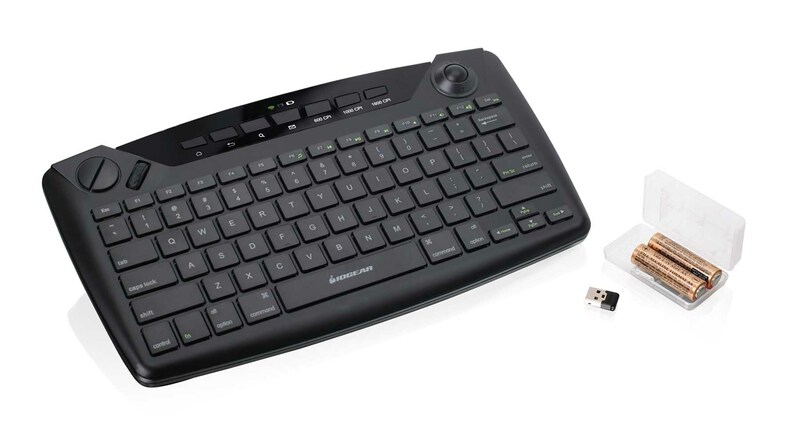 Use the Wireless Smart TV Keyboard with TVs that support keyboard and mouse functions to speed up navigation of your streaming applications and TV services. 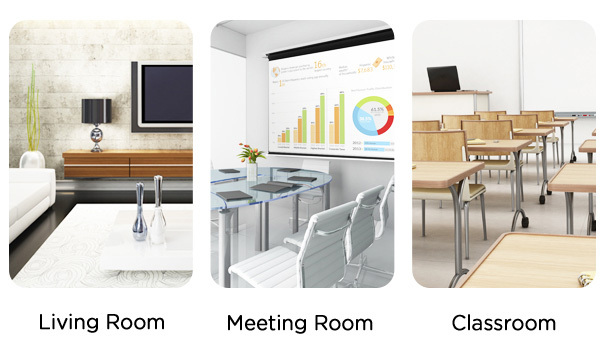 The Wireless Smart TV Keyboard is the ideal solution for the living room home entertainment and computer enthusiast, it is also great for meeting room and classroom presentation needs. 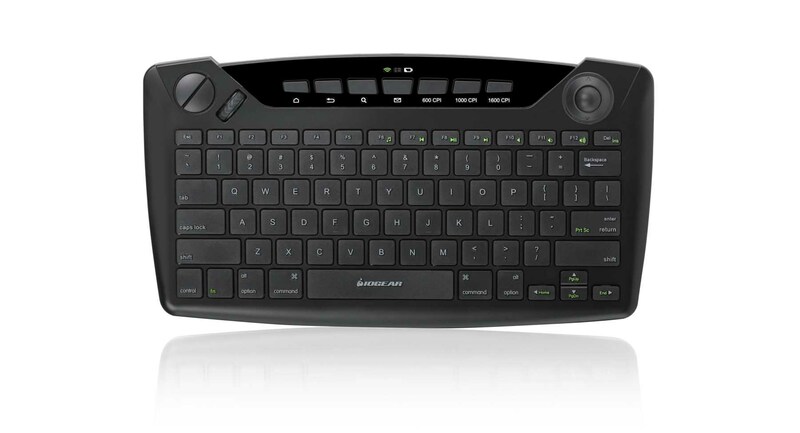 The keyboard requires no drivers, just plug in the included USB RF Receiver and you’re ready to go! 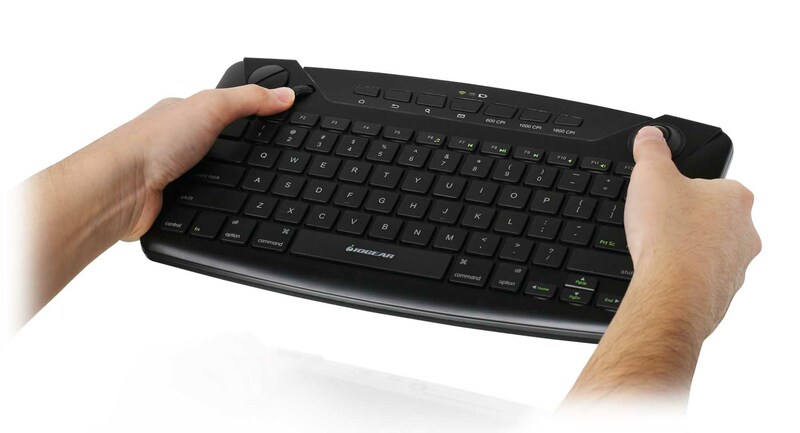 The ultra-slim, compact keyboard lets you type with style and comfort from any angle in the room. 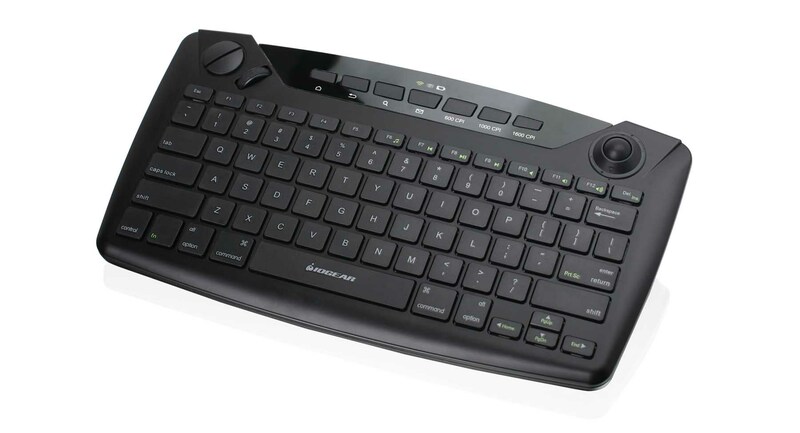 In addition to its creative design, the Wireless Smart TV Keyboard features built-in left and right mouse buttons with a scroll wheel that uses the latest optical trackball technology. Optical trackballs offer greater precision in movement while allowing you to select your ideal mouse cursor speed of 600 cpi, 1000 cpi or a lightning speed of 1600 cpi to meet your individual needs. This stylish, ergonomic wireless solution easily tucks away in a drawer or cabinet and is sure to be a staple for your home, office or classroom electronics. 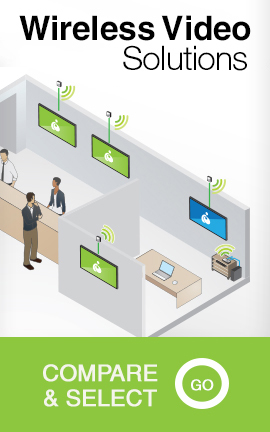 The 2.4 GHz wireless technology performs frequency hopping to avoid interference with WiFi, Bluetooth, and other devices. 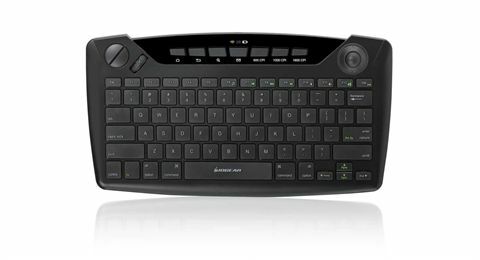 The Wireless Smart TV Keyboard is a definite must have for anyone looking to compliment their PC to TV solution.